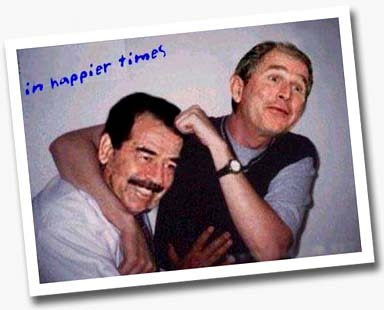 Through my own eyes: Bush and Saddam in happier days! "if you think you are too small to make a difference, just try to sleep at night in a room with a mosquito in it." Bush and Saddam in happier days!